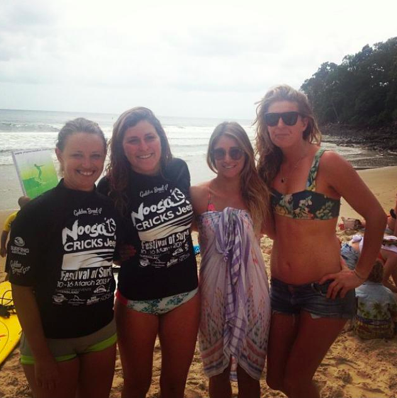 Yesterday was the first day of the Noosa Festival of Surfing and I was fortunate to be able to compete in the Tag Team event with some of my lovely friends. As there are a fair few of us who are out here in Noosa from the UK so we decided to put together a girls team. Joined by our friend Emilie, who is from France – our team, ‘The Euro Ladies’ put on a good show of surfing skill during our tag team event. 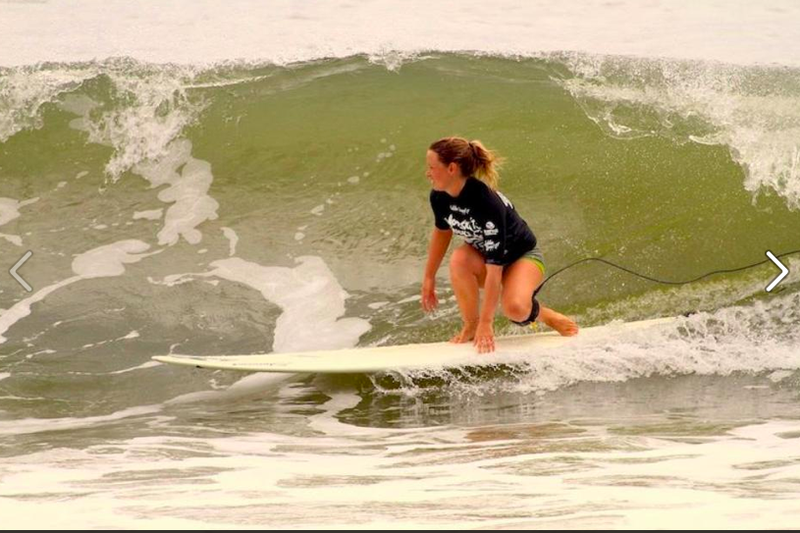 With small swell, dropping tide and tricky conditions it was a challenging event. 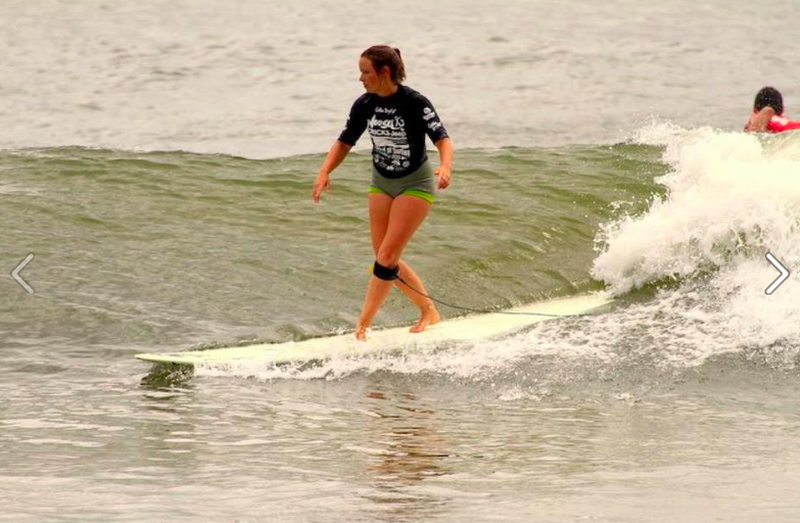 with 4 surfers, a total time of 40 minutes to catch 2 waves, with one surfer allowed to catch 3….lot of running up and down the beach – this event certainly got the blood flowing! We missed out marginally on advancing through to the next round, but it was great to be able to snag a few waves at First Point for ourselves!